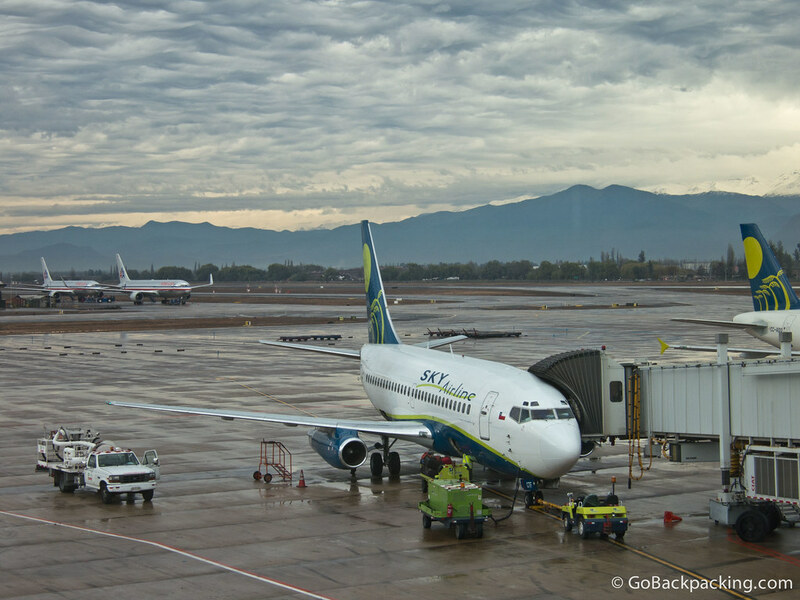 Last May, I boarded a Sky Airline flight from Santiago to Calama, in northern Chile. 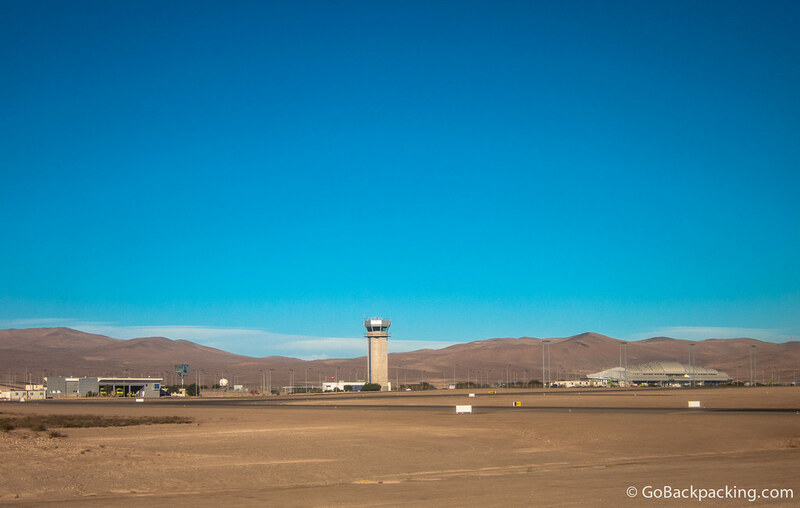 Calama is the nearest airport to San Pedro de Atacama, a small pueblo in the middle of the Atacama Desert. 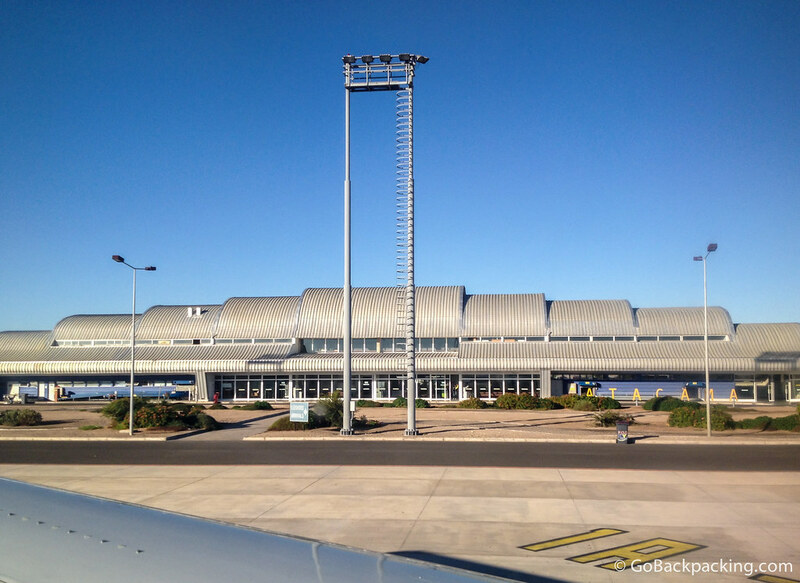 The first flight took an hour and twenty minutes to go from Santiago to Copiapo. 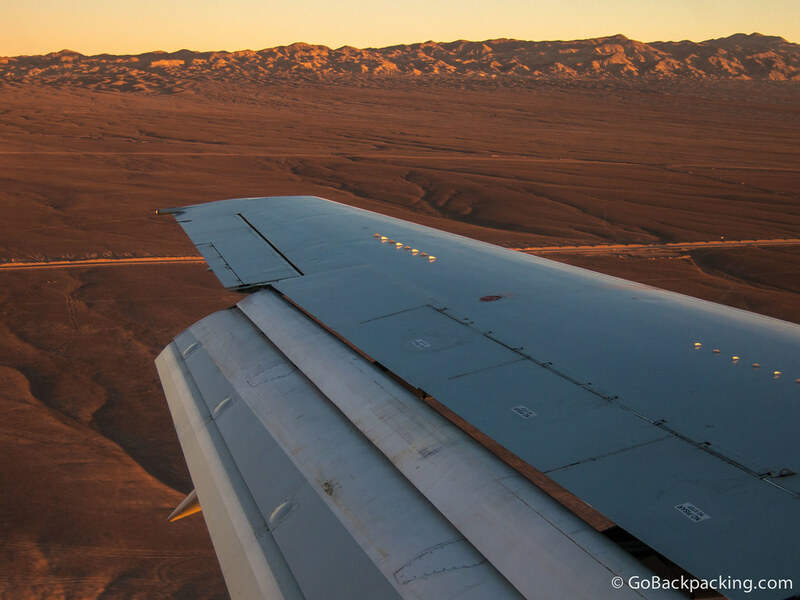 After a brief layover, we then flew another hour further north to Calama. My flights delivered me from Santiago to Calama in two and a half hours, whereas the bus, though cheaper, takes 24 hours. 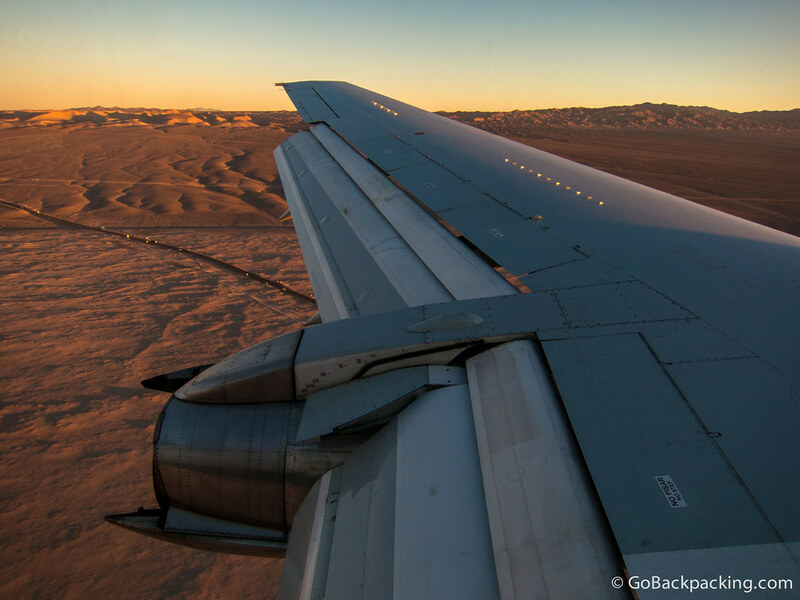 And from what I've heard, it's tedious and boring (you're driving through the desert after all), so do yourself a favor and spend the extra money to fly. As our plane descended, along with the sun, the ground glowed a brilliant orange-red. It felt as though we were about to land on Mars. Whoa.. Incredible view of the snow-capped mountains and the city! Thanks Kieu, I’d still like to see Santiago in the Winter, when there’s less smog and clearer mountain views. This time around, I had to take what I could get! 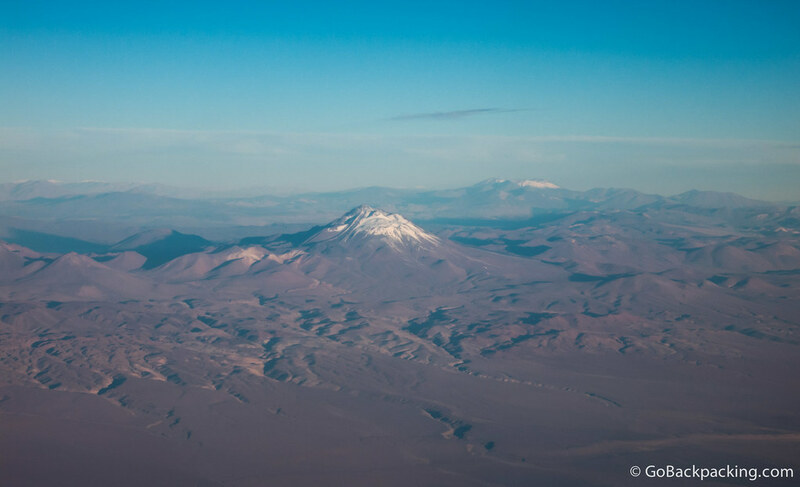 These are some lovely pictures; especially the view over Santiago and the landing in the Atacama, which really does look like Mars! Thanks Sam. Aside from the time factor, I think it was more fun to arrive by air into this landscape than having spent at least 12 hours on a bus driving through it. 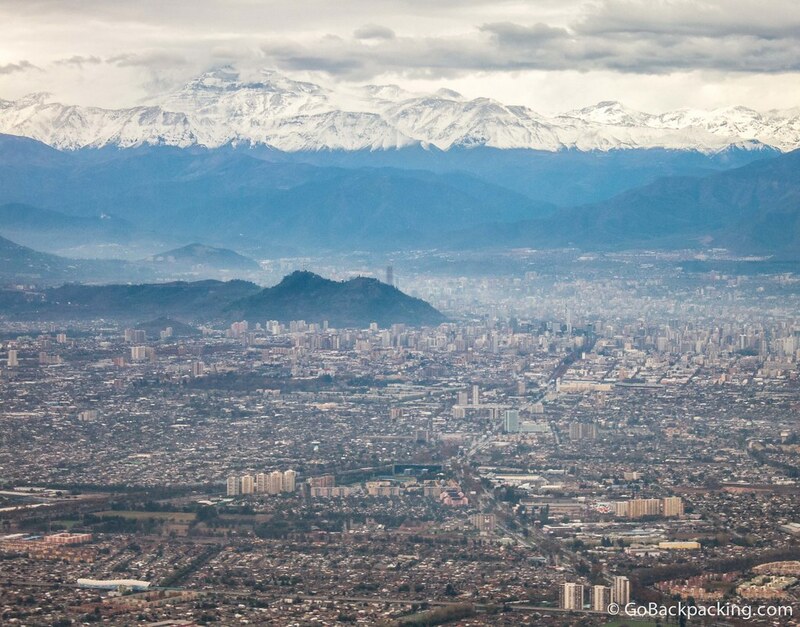 THose photos are incredible, especially the one of the Santiago and the snow-capped mountains behind it. Thanks Nick, I don’t think there’s anywhere else in the world quite like it. Looks like an amazing trip. Beautiful Photographs! Really breathtaking image of Chilean mountain ranges. So much awesome. You must not miss the traditional events in Santiago like pattaraday festival, and the patupat in Bannawag, the station of the cross in balintokatok. 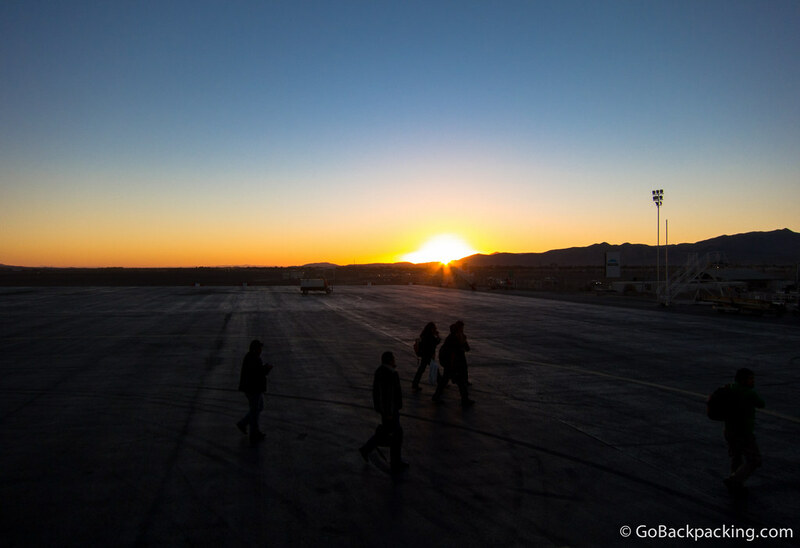 Leaving to Calama on the 21st of December and have a question: do you remember how long it took you to get off the plane and collect your luggage? I am currently in Vina Del mar. If you had 4 days (max) remaining before you had to fly out of Santiago, would you recommend using them for Atacama? Hopefully you get this quickly. If not there, where would you recommend in Chile. came in on Cruce De Los Lagos and saw the Puerto Varas area. Check out my blog http://www.richtrek.com … and lm, cheers man! Fantastic photos! 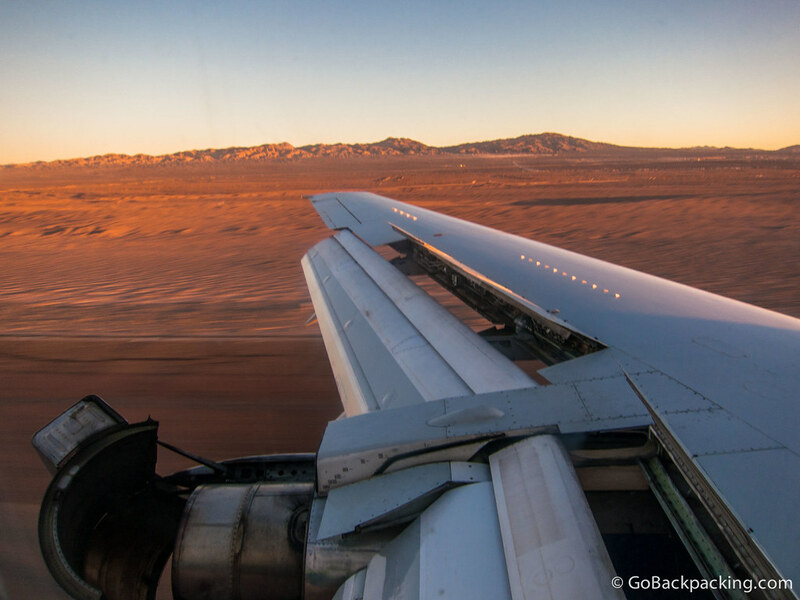 I’m currently planning my own South America trip, and will be doing this flight in reverse – Atacama to Santiago. 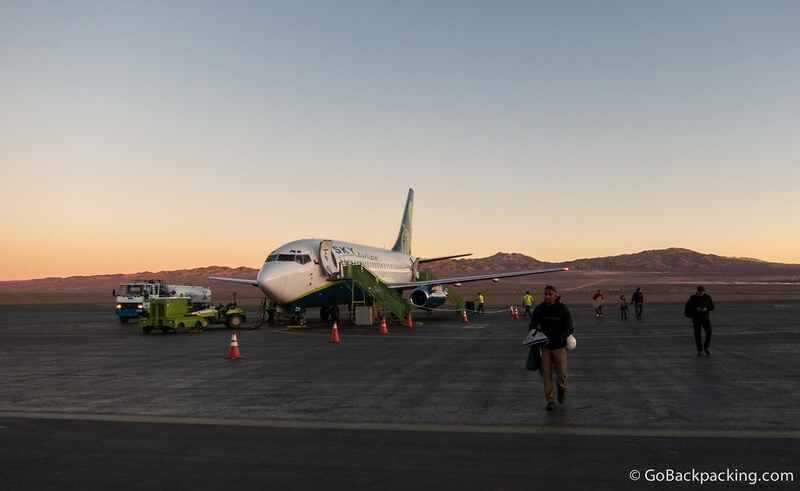 My question is: how did you get from the town of San Pedro to the airport in Calama? Thanks Carrie. I took the local airport shuttle. I can’t recall if I arranged it through the hostel, but it wasn’t a problem.